There isn’t a tougher game to call in the NFL in week eight than Green Bay visiting Denver. 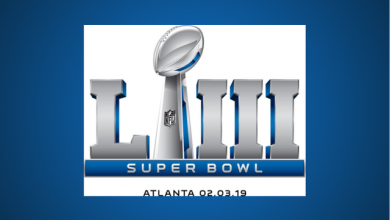 Both teams are a remarkable 6-0 despite facing some serious obstacles, and at least on the surface there is plenty of reason to believe both are serious Super Bowl contenders. Hey, maybe we’re even looking at a title game preview. All we know for sure right now is that Peyton Manning looks close to being done, Aaron Rodgers is as elite as it gets and this Broncos defense is pretty scary. Could Peyton finally throw out a vintage performance in a shootout? Will Rodgers go nuts against the league’s best defense? 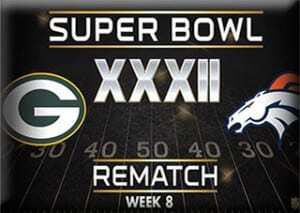 Or Will Denver prevail in ugly fashion in a 9-6 battle of field goals? It’s anyone’s guess, but a closer look may reveal the answers we’re looking for. The Broncos and Packers met in the Super Bowl many years ago, but other than that do not have an extensive history at all. The two sides have only met 13 times and have split things right down the middle in the process, 6-6-1. Green Bay holds the recent edge with a blowout win in 2011 and has won three straight, but the past results here are too old to lean on confidently. This week only one of the two can stand above the other for 2015 and for all of history, really, while the home team has a commanding 6-2 straight up record in this series. That’s pretty damaging for Green Bay, as Denver plays host at Sports Authority Field, where the air is thick and opposing teams often have a difficult time. That being said, Denver is a rare underdog at home, and when that’s been the case, things haven’t ended too well. When not favored on their home field in their past seven contests, the Broncos are just 2-5 straight up and 3-4 ATS. That’s less relevant than Denver’s 2015 results, however, where they’ve gone 6-0 straight up and 4-1-1 ATS. Green Bay has been the better 6-0 squad in 2015. Their defense has actually allowed fewer points, Aaron Rodgers has been insanely efficient (15 touchdowns to just 2 picks) and Green Bay has done well getting by some tough defenses already (Seahawks and Rams, to name two). 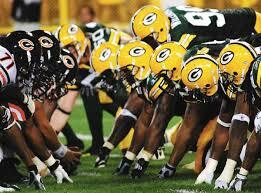 I’d like the Packers a whole lot better at Lambeau Field, but even on the road they’re tough to hate. Denver can stop the run and has one elite corner, but the way Aaron Rodgers spreads the ball around and keeps plays alive with his legs, the Packers offense is always a threat. And Rodgers doesn’t need to light the world on fire here. He just needs to be a little bit better than Manning, and going off of what we’ve seen in 2015, that may not be very hard to manage. Peyton Manning has been doing just enough offensively this year and in a lot of ways has gotten extremely lucky multiple times thanks to an elite defense. The Broncos could have very easily lost to Baltimore in week one or to the Vikings, Raiders and Browns the past few weeks (won all four of those games by six points or less) and if so, we’d be having a very different conversation. Manning is really getting a major pass for two reasons: because of who he is and because Denver hasn’t lost due to his regression yet. Green Bay’s defense is fairly stingy against the pass, they can get after the quarterback and they don’t give up points. That’s a bad recipe for a pretty weak Broncos offense. Unless Denver can run wild on the ground with Ronnie Hillman and C.J. Anderson – something they’ve only done 1-2 times this year – they could be in serious trouble. 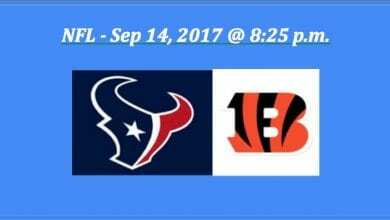 Both teams are fantastic out of bye weeks. 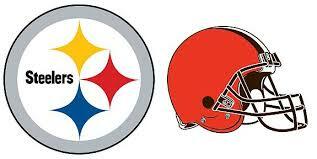 Both defenses have allowed 17 or fewer points per game. Only one of these teams has an effective, elite quarterback. Every part of me wants to go with Denver here because they’re at home and because that defense is nasty. But Peyton Manning can’t be trusted and the Broncos have struggled to pass protect and run the ball all season long. This is either a game where Denver’s defense shuts down a strong offense and makes everyone believe this team can win it all with average play out of Manning, or it’s the game where Manning and the Broncos finally get exposed to the point where it can no longer be avoided. This is going to be a close game and judging by these defenses, it’s going to be low-scoring. I think the Packers are the better straight up pick, but I’m taking Denver to beat the spread.